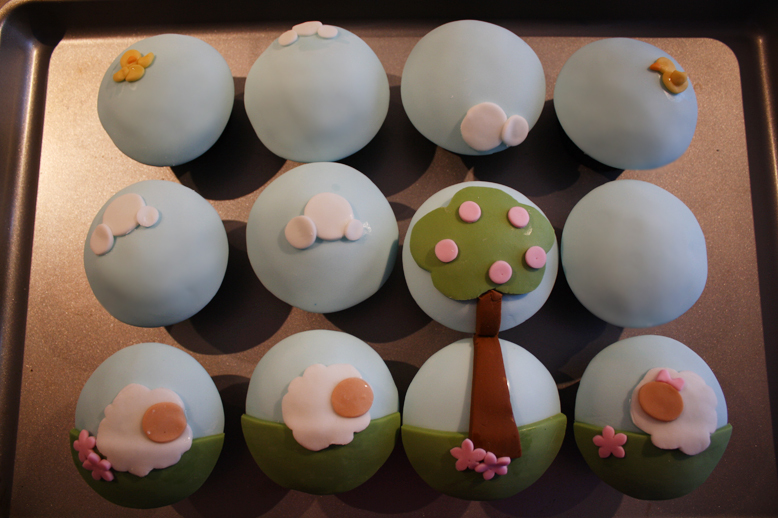 TheCakingGirl: Fondant Decorating: Cute Sheep Cupcakes! 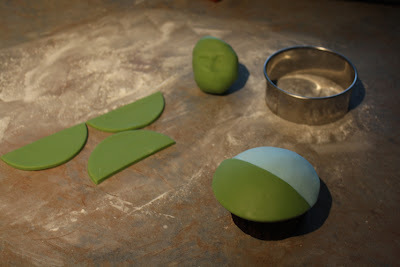 Fondant Decorating: Cute Sheep Cupcakes! 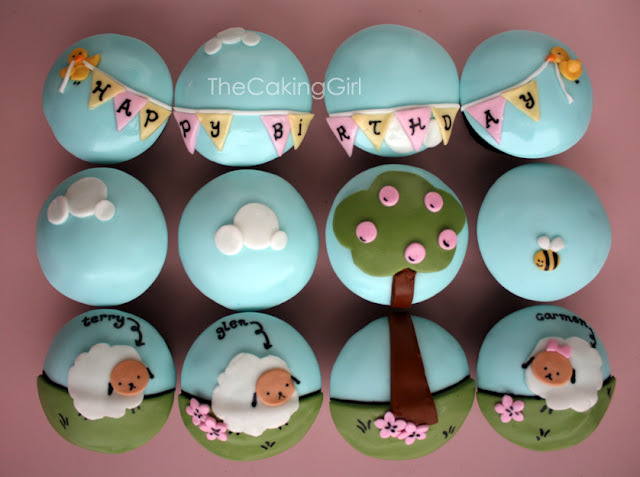 Hey guys, I recently made these cute sheep cupcake designs for someone's birthday! 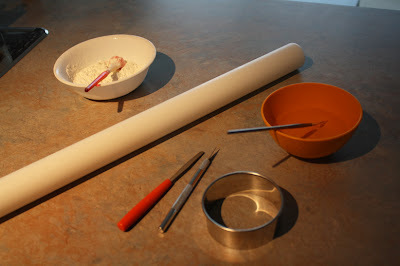 fits 9, it's a waste of time to knead the fondant and roll it out again just for an extra circle. I cut out all the shapes free hand. The exacto knife is a must in any fondant decorating. 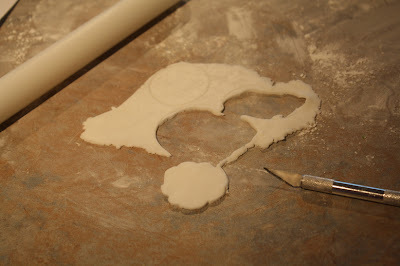 For squares and cirlces, always use a cookie cutter, but everything else try to do it by freehand, it's what makes your cake design unique and different from everyone else's. 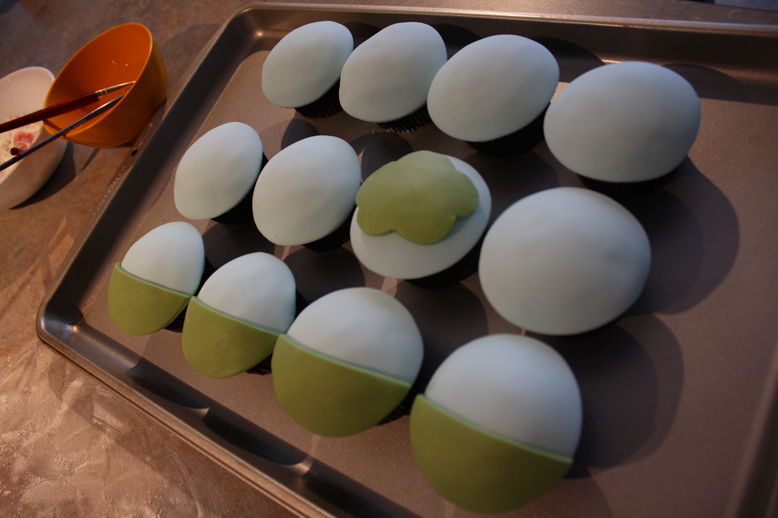 All 12 cupcakes are covered with the base fondant, ready to decorate. 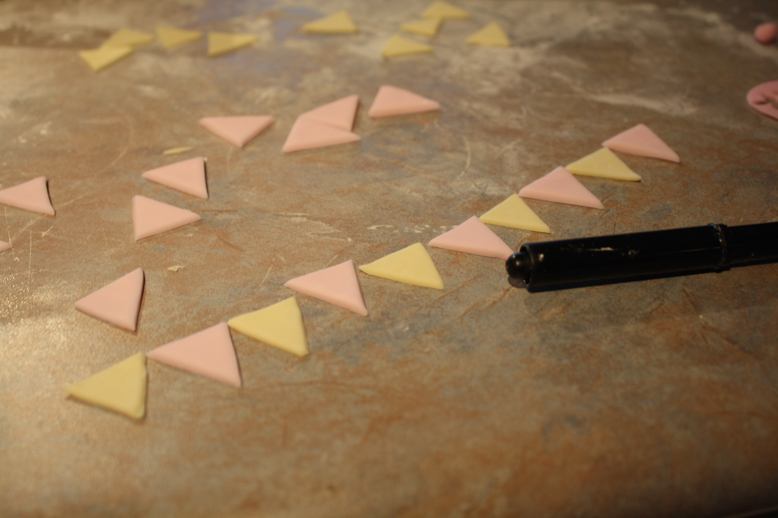 I haven't found a good set of triangle cutters so I cut my own triangles. You can use an exacto knife, but I like to let the strip of fondant dry for a bit, and I cut it with scissors like it's a piece of paper. It's just a lot faster that way for me. 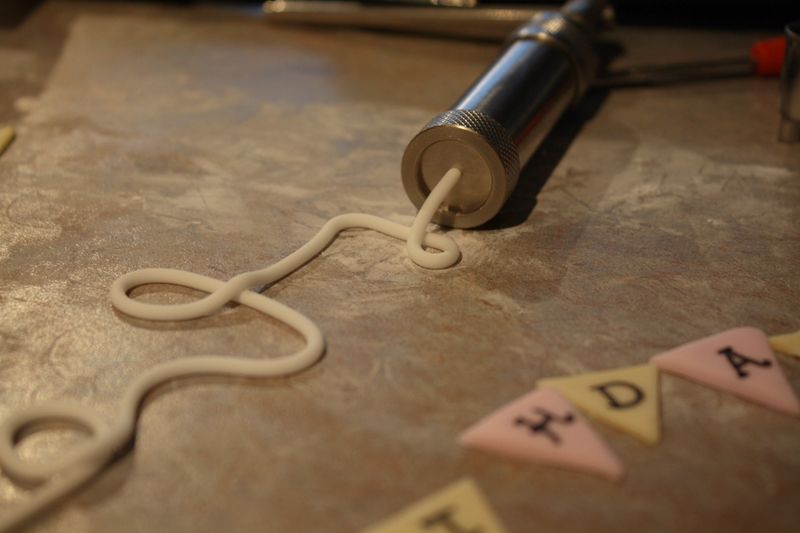 I used a clay extruder to pipe out the 'string' for the happy birthday flag. The cupcakes are almost done, just need to draw the rest in with the black edible marker! Hi, Today I did this cupcakes for my nephew's birthday. Everybody loves it. You had a really great idea! 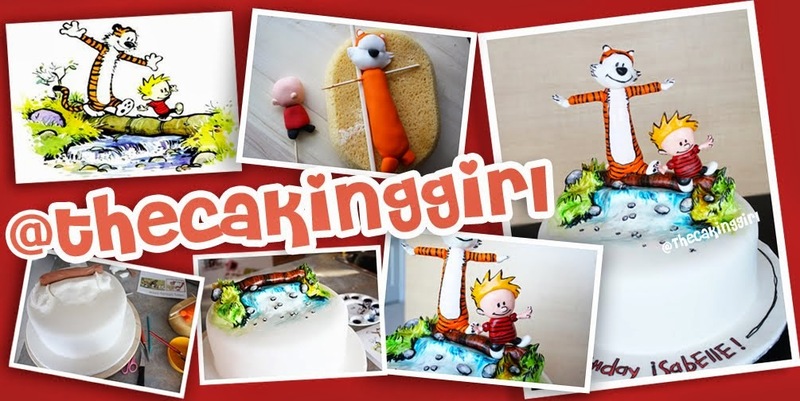 Your cupcakes are much better of course, but I am proud of my work too. I JUST SAW IT!!! 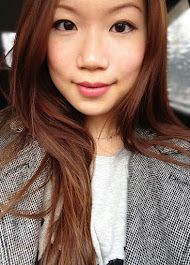 SUPER GOOD JOB :) SUPER CUTE! !